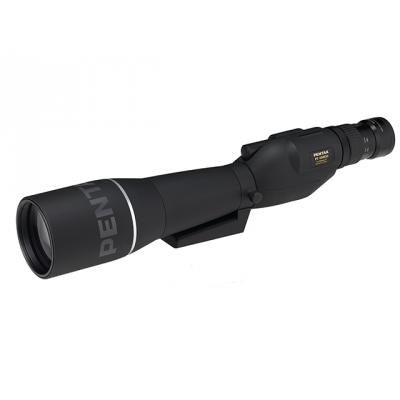 The PENTAX PF-100ED Spotting Scope is without doubt the best you can get … short of building your own! The 100mm ED objective lens and lanthanum glass gather light with spectacular resolution and clarity. Combined with SMC lens coatings and the superior XW eyepieces, you will enjoy razor-sharp edge-to-edge images – not only for terrestrial and also for lunar and planetary observation. By simply adding a PENTAX SLR camera and adapter, the PF-100ED transforms into a formidable telephoto lens for fine detail photography. The PF-100ED’s objective lens features an extra-large effective aperture of 100mm to produce a super-bright image field for effortless subject spotting and high-precision focusing.